Greg has more than 20 years of legal and public policy experience. He primarily focuses on regulatory, policy and transactional issues relating to the wireless and wireline industry. 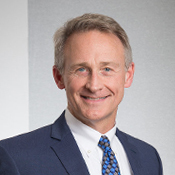 Greg has extensive experience counseling clients through complex regulatory and business issues, including interconnection and inter-carrier compensation, number portability, E-911, the National Environmental Policy Act (NEPA) and customer propriety network information (CPNI). Greg counsels clients on strategic vision, and helps to guide communications and technology companies through a myriad of complicated legal and business decisions.Greg is an avid skier, a member of the Professional Ski Instructors of America and lover of trout streams and casting lines.